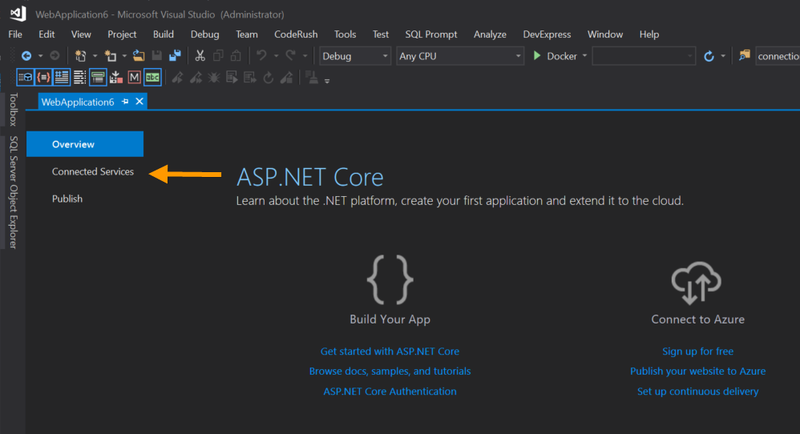 With each release of Visual Studio it’s getting easier to connect your application to Azure services. To access Visual Studio Connected Services, go to your projects Overview which can be accessed by right clicking on your project and select Overview. Then select the Connected Services tab on the left to show the list of Connected Services available in your Visual Studio instance. 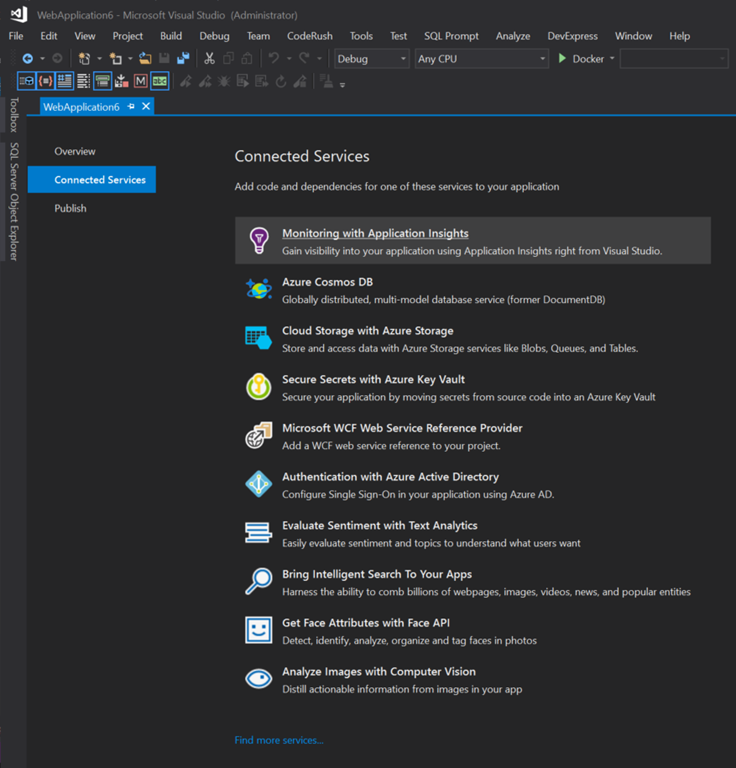 More connected services can be installed from either the Visual Studio Marketplace or from within Visual Studio by going to the Tools –> Extensions and Updates… menu item. To configure a particular Connected Service, just click on it and follow the prompts to wire up the desired Azure service. For a full list of available Connected Services take a look at the Microsoft Visual Studio Marketplace.